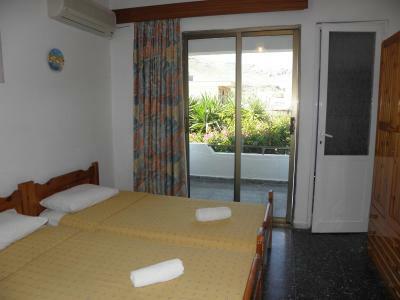 Lock in a great price for Afroditi Pension – rated 8.8 by recent guests! Family pension with very nice friendly people always to help,advice. A/C including price,fridge in the room,balcony. The owner is very helpful and kind lady. The villagers are so lovely and warm hearted. It is a peaceful small village with everything. Ci tengo a precisare che si tratta di un affittacamere e non di un hotel. Stanza pulitissima, le proprietarie gentilissime, buona la colazione ed è tutto molto tranquillo. Sembra di stare a casa propria! Il centro di Archangelos si raggiunge a piedi in 5 minuti. Mein Aufenthalt in dieser tollen Pension war sehr erholsam. Ich hatte ein schönes Zimmer mit Bergenblick. Vom Balkon konnte ich die romantisch beleuchtete Akropolis von Archangelos bewundern. Im Zimmer und im Bad war alles bestens! Überraschend fand ich ideale Sauberkeit in der ganzen Pensionanlage. Jeden Tag frische schneeweiße Bettwäsche und Handtücher!!! In der Küche gab es Tee und Kaffe, Brot, Marmelade, Zucker, Kaffeesahne, Butter. Auf der Terrasse ist immer angenehmer leichter Wind plus Schatten - traumhaft!)) Die Gastgeber sind äußerst hilfsbereit und freundlich. Meine Nachfragen und Bitten waren willkommen:)) In Archangelos kann man lecker und preiswert essen gehen. Die Einkaufsmöglichkeiten sind optimal - Obst, Gemüse, Käse vom Hersteller und viel mehr. Zum Strand läuft man zuerst durch das Dorf bis zur Brücke, dann rechts den malerischen Weg entlang. Die Einheimischen sind offen, hilfsbereit und meistens sehr nett! просторный чистый номер с холодильником и балконом. вода и сладкая газировка - приветственный подарок. кондиционер входит в стоимость номера. уборка и смена полотенец - ежедневно. сытный завтрак. замечательный отзывчивый персонал. встретили/проводили на машине от/до остановки. за такие деньги - просто идеальное обслуживание. если планируете селиться в Архангелосе - очень рекомендую этот отель. никогда не встречала столь приятного соотношения цена-качество. мелкие шероховатости в связи с этим не замечаются. 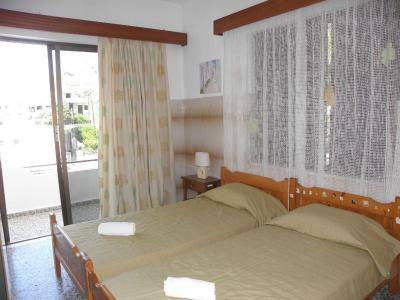 Only 1,000 feet from the center of Archangelos, Afroditi offers air conditioned rooms with furnished balcony and views of the grounds and town. Breakfast is served daily. Stegna Beach is a 5-minute drive. 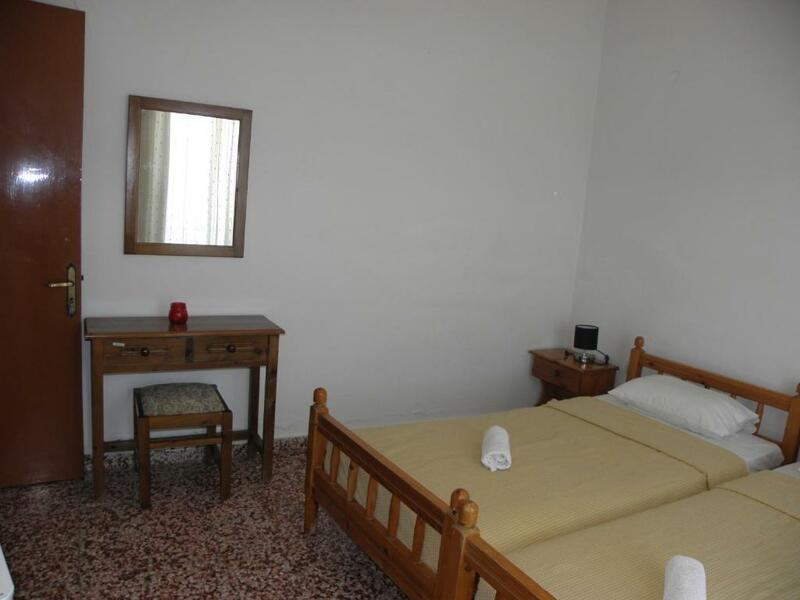 Each room at Pension Afroditi offers a TV and fridge. Units are bright and airy with lots of natural light and floor to ceiling windows. The staff at the tour desk can offer travel information on popular Rhodes attractions, such as Lindos village. 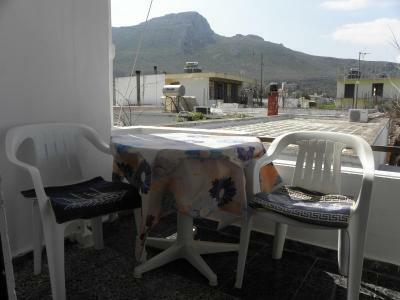 Guests of the Afroditi can find many traditional tavernas and restaurants in Archangelos town. 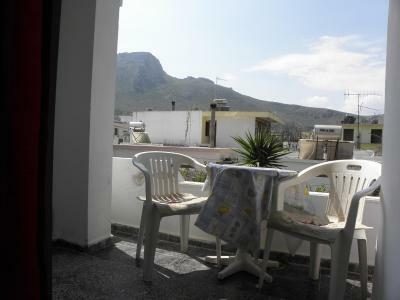 Free public parking is available at a location nearby Afroditi Pension. 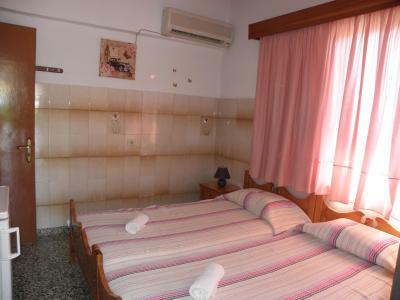 When would you like to stay at Afroditi Pension? 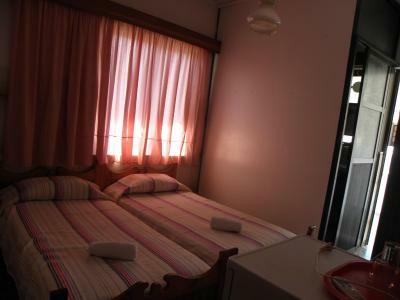 Simply furnished room with air conditioning, fridge, private bathroom with shower and balcony. 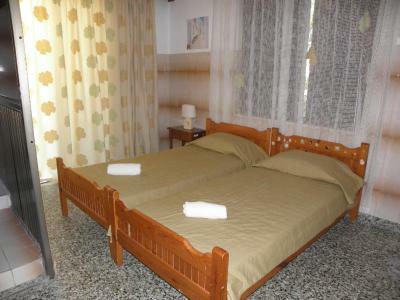 House Rules Afroditi Pension takes special requests – add in the next step! A little bit far from beach and there is almost No bus or even taxi to there.